On Valentine’s Day it may be traditional to share candy or chocolate, but this year why not mix it up a little with something on the unique side? Whether you’re gifting your mom, your best friend, your crush, or your love— have a little fun with these delicious treats that are sure to bring a smile to someone special. What could be more romantic than a gorgeous bouquet of . . . donuts! We’re really feeling the donuts this year, and Harry & David is offering adorable mini-donuts creatively arranged in a bouquet. Each of these tasty treats is hand-dipped in sweet milk, dark or white chocolate, and topped with festive candy and chocolate drizzles. Send your favorite hottie a spicy gift set from BoxFox. 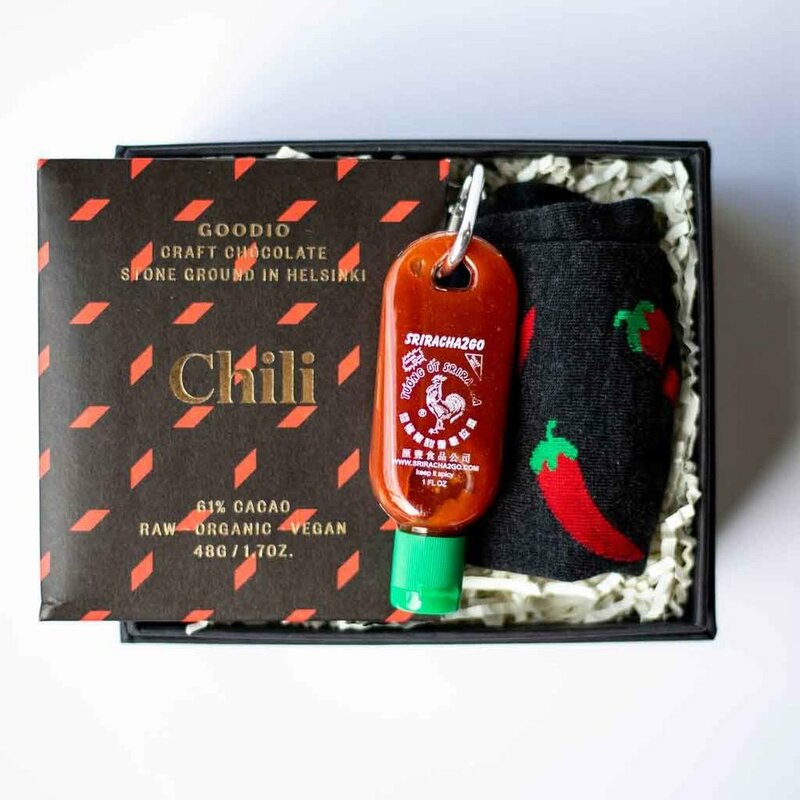 This box includes Goodie Chocolate Chili, a Sriracha Keychain, and Good Luck Chili Socks. 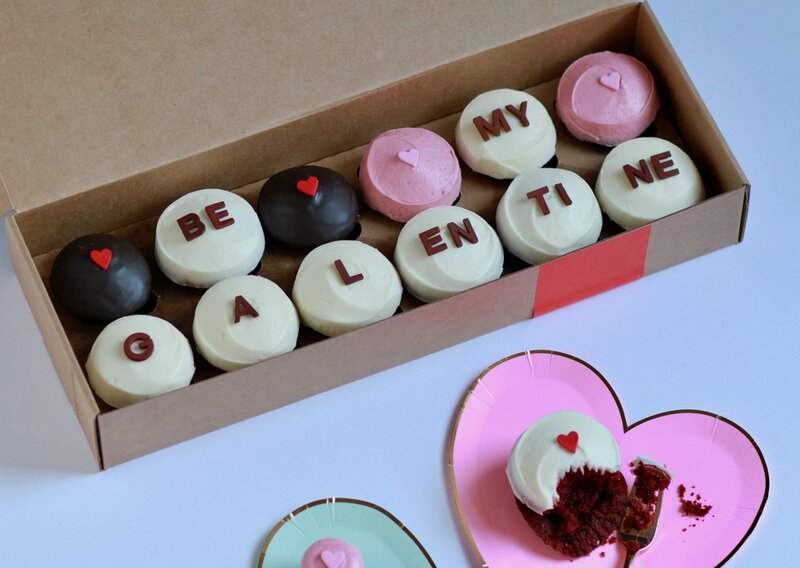 Send a cute cupcake message like “Be Mine,” “I ❤ U,” or “Be My Galentine” with Sprinkles cupcakes. Cupcake flavors available include chocolate-chip studded Belgian dark chocolate cake topped with raspberry frosting, and birthday cake topped with raspberry frosting. Yes, please! 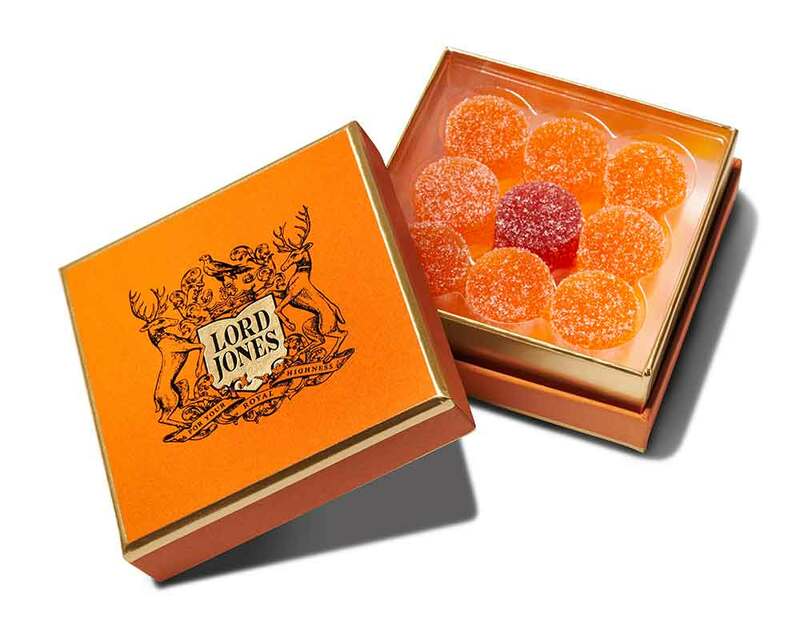 The Lord Jones Limited-Edition Valentine’s Day CBD Gumdrop box, featuring Passion Fruit and Red Raspberry flavors, will help to set the mood for love. Tart and sweet with uniquely fragrant floral notes, these gumdrops spark the senses in magical ways. We love a chocolate bar that relieves stress, fights fatigue, and balances hormones—all while giving your skin that natural spa glow. It's sugar-free, dairy-free, and 83% raw chocolate. Send good vibes to the special people in your life with these gorgeous crystal-inspired cookies that are almost too pretty to eat (yes, you can eat them!) Created by confectionary genius Jodi Mannis.